Microsoft is now testing Windows 10 insider build 15034 for PC and mobile build 10.0.15034.0 internally. 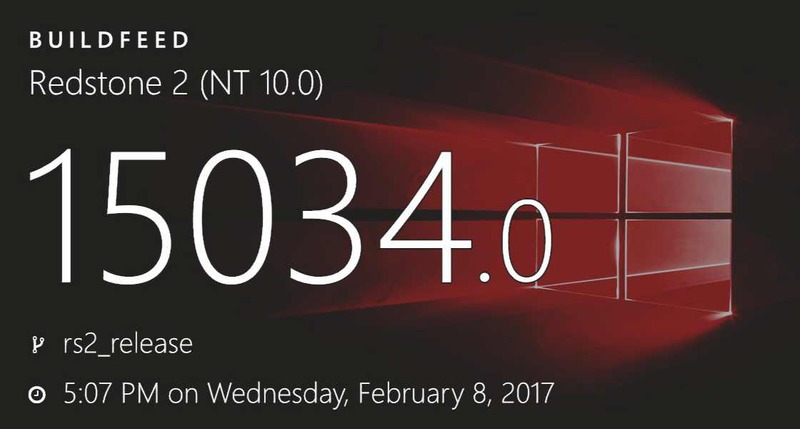 The new Windows 10 Creators Update Insider build 15034 is compiled on February 8. Recently, Insider team also tested insider build 15032 (10.0.15032.0). Microsoft Insider PC build 15031 and mobile build 10.0.15031 is now available for Fast Ring members. However, few Insider members are reporting ‘download stuck at 0%’ and other issues with the build. Read here for fixes for build 15031.